My 20-year wait for head-up displays to catch on appears to be over. Carmakers are finally embracing this technology, and once you see it, you're going to love it. A head-up display projects information you normally have to get from your car's instrument panel onto the windshield, right in front of the driver. The technology was created to project flight data onto the canopies of jet fighters. But the auto companies began offering it as an option on a few pricey luxury sedans and sports cars in the late '90s. Early versions were pretty limited, projecting vehicle speeds as a floating digital number and not a lot else. 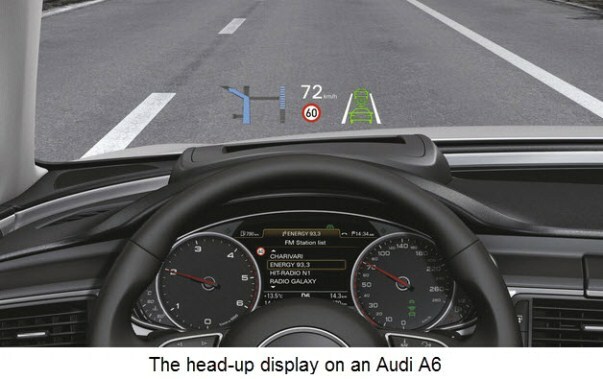 But today's multicolor head-up display or HUD can include a host of data, such as speed limit, turn signals, blind-spot warning, audio system information, readouts from key gauges, turn-by-turn directions and so forth. The industry trade publication Automotive News recently reported that 38 models now offer the feature, up from just five models five years ago. The exciting news is that HUD's now availabile in more affordable cars, such as the Mazda3, Mini Cooper and the upcoming Kia Soul EV. By 2020, Automotive News expects 9% of all cars and trucks sold will have the innovation, up from 2% in 2012. My first contact with HUD was in a 1998 Chevrolet Corvette that I was reviewing for the Palm Beach Post. It simply slayed me. Although the information projected on the windshield wasn't very comprehensive, I was impressed with the technology and convenience. HUD images seem to appear out ahead of the driver, roughly 8 to 10 inches off the hood, and can be easily viewed without looking away from the road. I could keep track of my speed — always a good thing in a Corvette — while keeping my eyes on the road. Brilliant! Although I thought it a nifty bit of technology to dazzle friends, I was convinced at the time that HUD was a safety no-brainer. I fully expected it to quickly trickle down to other Chevys and out to other brands. Apparently, carmakers and consumers alike considered HUD more of a gimmick or high-end toy than a safety feature. This thinking, however, is changing. But with so much other safety technology gaining popular acceptance — think blind-spot warning and lane-departure alerts — why not HUD? Although the National Highway Traffic Safety Administration (NHTSA) is just beginning to track accidents caused by the driver taking eyes off the road, it says the number of people injured in distraction-related accidents was up by about 9% in 2012. The threat is simple and obvious. The more a driver looks away from the road, the more likely a crash will happen. For the past few years, manufacturers supplying HUD units to carmakers have been emphasizing its safety benefits. In turn, carmakers have been marketing HUD as a safety feature rather than a techno toy. Sure, hybrid and diesel-powered cars get great mileage, but they cost more to buy. A lot more, in many cases. That's why we think a traditional front-wheel-drive compact or subcompact with an efficient four-cylinder engine can be a better gas-saving alternative. 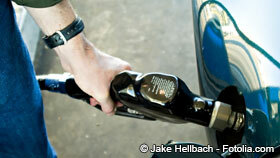 Our six favorite fuel-sippers for 2014 get more than 32 miles per gallon in combined city and highway driving, yet cost no more than $20,290. I asked David Matthew, a product planner for the Mazda3, why it's offering what the automaker calls an Active Driving Display on the compact sedans and hatchbacks. He said the primary reason was safety, the ability to provide critical information such as speed, route guidance and warnings without forcing drivers to take their eyes off the road. The info appears to be about 5 feet in front of the driver, or out over the hood, and only 5 degrees below the driver’s line of sight to minimize glance time. Mazda includes HUD as standard equipment on two of the car's most costly versions, the Mazda3 sTouring and sGrand Touring. You can't buy it as option on less-costly models. And that's pretty typical of how automakers are introducing HUD. It's not a terribly costly technology. Automotive News put the wholesale cost at $150 to $350. But rather than marketing head-up displays as a stand-alone option, they're including it as part of a high-end options package or trim level. That way buyers don't have to make a "yes" or "no" decision on something they know little, or nothing, about. 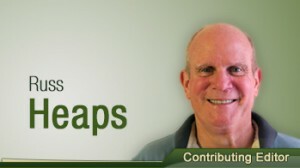 As HUD grows in availability and sales, we can expect its functions to multiply. Already in development is a windshield-wide system that will help a driver define the edges of his driving lane at night and in foul weather. Eventually, I think we'll take HUD for granted, as we do padded dashboards, seat belts, air bags and antilock brakes. That day may still be years away, but at least things are finally moving in the right direction.